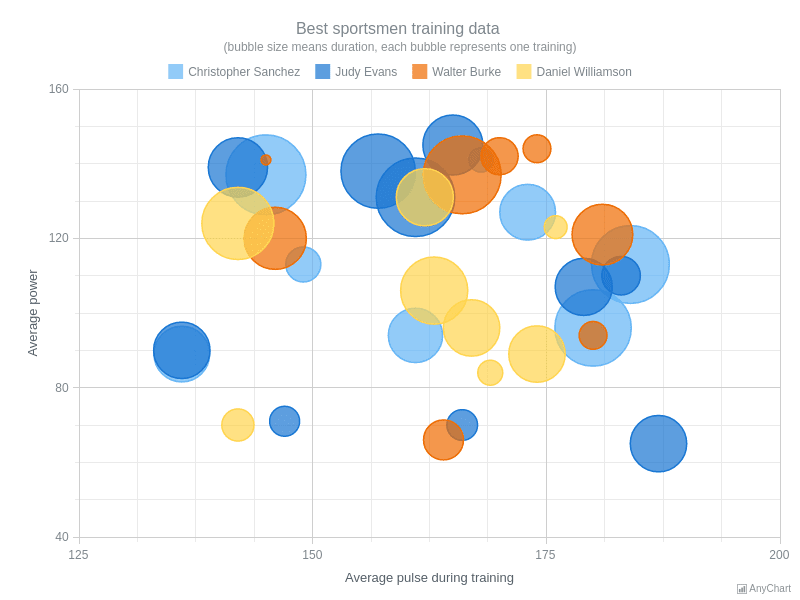 Multi-Series Bubble ChartThis multi-series bubble chart present information on sportsmen training. The interactive legend helps to control series. Customized tooltip show full information for each point. Series placed on scatter chart. Multi-Series Marker ChartThis scatter chart has several marker series on the chart's plot. Each series has unique marker's type and unique color. 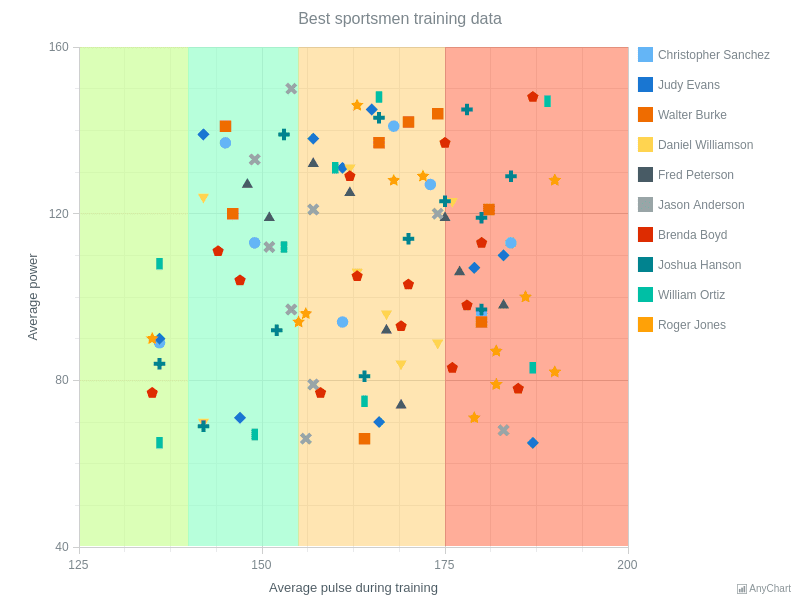 The chart represents training data for 10 best sportsmen. Chart's legend is hidden.